Easy enough! 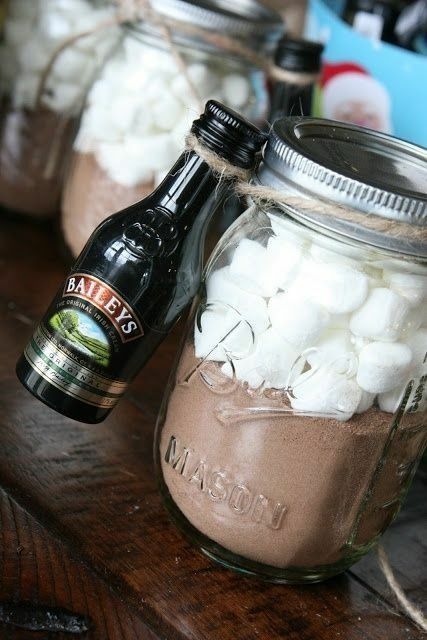 Use mason jars as photo frames. I love the way these upside down mason jars look all grouped together with different sized jars and photos. Add a vintage touch to your bathroom or kitchen with these inexpensive mason jar soap dispensers! With the right pump, I’m assuming you could also do this for lotion or hand sanitizer. Check out the full instructions for this project here. Mason jars make for beautiful gifts, especially for the holidays. Stack the dry ingredients of your favorite recipe (brownies, cookies, etc.) and print the recipe on the top or inside of the lid. Decorate the jar however you’d like with ribbon, twine, washi tape and maybe even a tag.